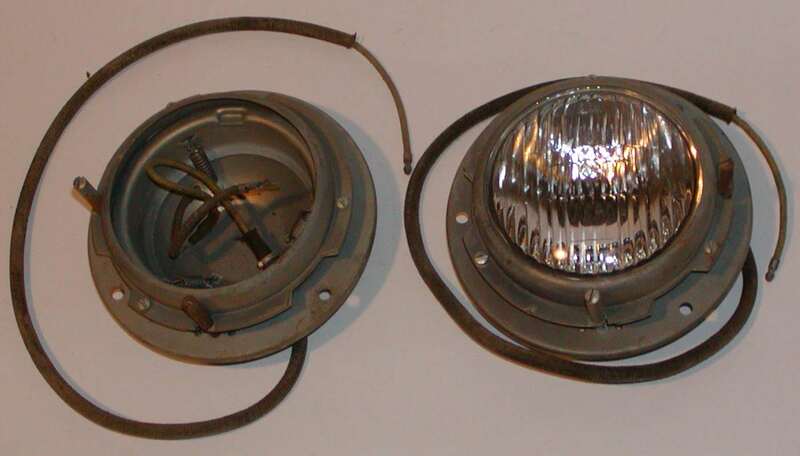 An option for the 1954 Mercury passenger car was a roadlamp or fog light kit. These lights mounted in the front bumperettes. What makes them of interest to me is that they later became a rare option for the 1955 and 1956 Ford Thunderbird. Shown below is an NOS kit used in these cars. The switch is a sought after item as not many have survived. The switch allowed the headlamps to be operated in conjunction with the roadlamps, as required in some states. The lamps could either be clear or amber.